I love this track so I hope you enjoy the video twice as much ya heard! I am in love with this track already! I don’t know when the video wii be out but what I do know is that Em is the beep beep man right about now as his flow on this amazing mid-tempo ballad is such a testament as to why is talent and longevity will never leave his side. 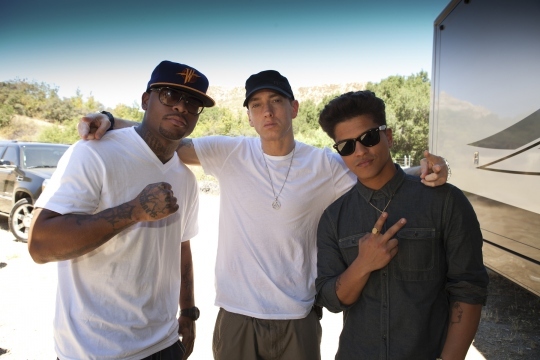 Mr Bruno Mars keeps us ladies in tune with the chorus while new MC Royce Da 5’9 is the latest In Eminem’s line of protegé. This track is on Fire- probably because off all the lighters lmao! !